Claude Levi-Strauss was a French social anthropologist and a leading exponent of structuralism. Often known as “the “father of modern anthropology”, he revolutionized the world of social anthropology by implementing the methods of structuralist analysis developed by Saussuro in the field of cultural relations. Born in Brussels, Belgium in 1908 to French parents, Claude Levi-Strauss spent his childhood in Paris. He studied philosophy and law at the University of Paris and became a secondary school teacher. He was appointed the professor of sociology at the University of São Paulo, Brazil in 1934, where he conducted his field research on the Indians of Brazil. He also taught at the New School in New York, the University of Paris and the Collège de France. During his stay at the New School for Social Research in the 1940s, the famous Russian formalist Roman Jakobson introduced Claude Levi-Strauss to the work of Ferdinand de Saussure, the legendary Swiss linguist. Strauss foresaw the importance of semiology for cultural analysis and studied the coded relations linked to social interactions. He shared his findings in his published works beginning with “The Elementary Structures of Kinship” in 1949, an important anthropological work on kinship. This was followed by his famous autobiographical work “Tristes Tropiques” in 1955, describing his travels, principally in Brazil. He also wrote “Structural Anthropology” (1958), “The Savage Mind” (1962), “Mythologiques” (4 volumes; 1964-72) and “The Raw and the Cooked” (1970). Levi-Strauss advocated that language preconditioned human culture, as evidenced in the “symbolic order” of religious and social life and aesthetics. He believed that cultural patterning is influenced by the huge reservoir of unconscious and universal structures of the mind. The most important contribution made by Levi-Strauss during his anthropological investigations was the difference between “hot” and “cold” societies. Cultures in Western Europe that altered significantly and remained open to greatly divergent influences were termed as “hot”, while the cultures that changed marginally over time were “cold”. An ideal example of a “cold” society was said to be the Amazonian Indians. He suggested a “savage” mind and a “civilized” mind shared the same structure and that human characteristics are the same in every region of the world. 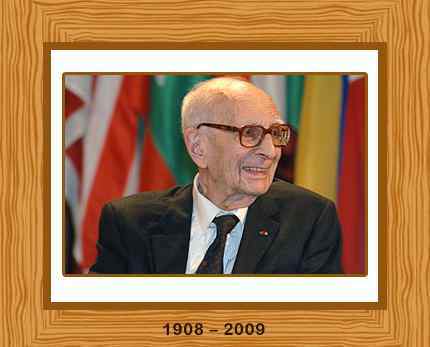 Claude Levi-Strauss was appointed as a member of the Académie Française in 2008, and one year later, he became the Dean of the Académie in 2009. He died on October 30, 2009. Levi-Strauss was 100 years old. He was buried in the village of Lignerolles, France.